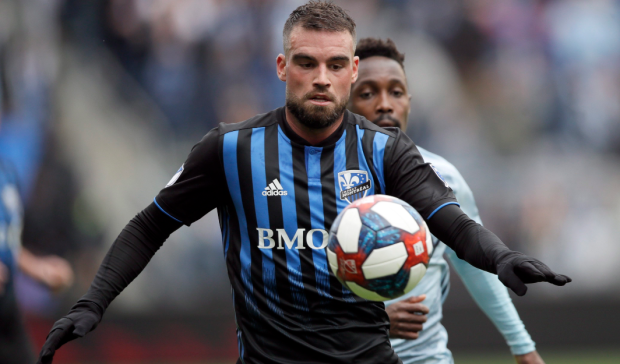 After surviving the longest road trip in their franchise's history, Montreal Impact players are brimming with confidence ahead of their home opener. "Six games on the road is a lot," said midfielder Harry Novillo. "We're dying to play in front of our fans. We've all been waiting for this for a long time. It's always better to be home on your own pitch. We're going to give it our all on Saturday." Montreal is coming off back-to-back scoreless draws in New York City last Saturday and Washington D.C. on Tuesday -- the club's first consecutive clean sheets on the road since October 2015. With wins in San Jose and Orlando earlier this year, the Impact have already collected eight points away from home, three fewer than all of last season. "It's a great start to the season, much better than last year," said Canadian international Samuel Piette. "To go on the road, to stay in the playoff picture, to prevent other teams from taking maximum points, that's huge. Now it's up to us to do well at home. "We're coming home with confidence." "D.C. played four games at home. Orlando played three games at home. Same thing for Toronto," said Novillo, who made his first career MLS start in New York last week. "I can name you 10 more teams like that. Six games on the road for us. We did what we could, we got points. Few teams could have done what we did on the road. "We're confident now. We're working towards being the best." Columbus is a big test for an Impact side trying to show it can compete with the league's top teams. It is the Crew's best start to a season since 2010, when they went 4-0-2 after six games. That doesn't bode well for a Montreal squad struggling to score goals this season. The Impact have netted seven goals in six games -- with three by Piatti. "We can't let them dictate the pace of play," said Garde of Saturday's opponents. "They're a very good team. They've been together for many years, their philosophy and their mentality has not changed. We cannot let them play. We have to set the tone for the match -- both offensively and defensively. "It's not because we are coming back home and playing in front of our fans that we have to lose the structure of the team and the tactical discipline that we've had in recent games."